•So simple, and so breathtakingly beautiful. 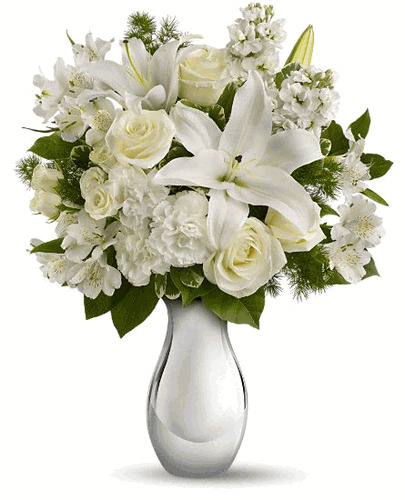 This holiday flower arrangement features an all-white bouquet of roses, lilies and more in an exquisite silver reflections vase that will be cherished for years. •Perfect for Christmas, Hanukkah - or just because.